When you put things into storage, it’s usually because they have sentimental value for you, you feel that you can find a use for them in the future, or they’re worth something monetarily. Whatever the case may be, EZ Storage® in Pittsburgh can help you find the right self-storage unit for your belongings. If you have items that fall into the last category that you plan on selling, then it’s good to follow some important steps so that you can get the most value out these belongings. You may not be able to get a ton of money for certain items, but a few dollars here and there can certainly help your bank account. As you’re looking through the boxes and tubs in your storage unit, it’s good to have prices in mind for the items you’re going to sell. You might have to do a little research to see what comparable items are selling for at the time, but with a few quick internet searches, you should be able to decide on an affordable price. You can also put a blanket price on an entire box of belongings, such as a box of old comic books or vinyl records. During your next garage or yard sale, it should be easy to find an interested buyer. Whether you post items online or put them on a garage sale, you’re likely going to have someone who’s interested in buying the item, but at a lower price than what you’re asking. 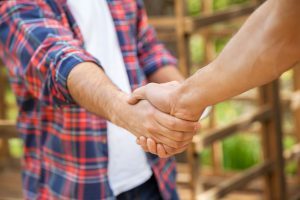 Haggling is usually a part of the buying and selling process, and it’s important to be prepared for it. You can always put your posted or asking price a little higher than normal so that when an interested buyer haggles with you, you can arrive at the price that you originally had in mind. You can also let things go for less that what you wanted, if nothing else than but for the peace of mind that it’s no longer taking up space in your storage unit. If you post items online, then you’ll likely have to meet the buyer in order to give them the item and receive payment from them. Online payments are always an option so that there’s no need for an exchange of cash, but the location you choose can also be important. You may not want them to meet you at your storage unit, and you may not feel comfortable driving to their house or office, especially after dark. Finding a neutral location during the day can be the best, and safest, way to make the transaction. Many places, such as police department parking lots, provide “safe zones” where you can meet the buyer and give them the item they’ve purchased. 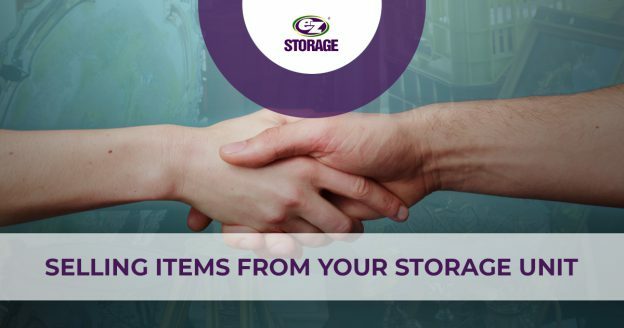 At EZ Storage®, we’re here to help you find the perfect self-storage unit. If you already have a space with us, then we hope you’ve enjoyed the experience you’ve had. When you’re thinking about selling items that you’ve had stored for a while, keep these steps in mind for a safe and easy transaction. If you have questions, then our staff members and resident managers will be happy to help. We have locations across the greater Pittsburgh area, and each one can provide what you need to keep your belongings safe and sound. We offer convenient access hours on every day of the year, so you can visit your unit when you want. Above all, we want you to feel confident that you made the right decision in choosing us. This entry was posted in Self-Storage Pittsburgh and tagged local storage, self-storage, self-storage companies, self-storage near me, self-storage units, storage near me, storage units on February 9, 2019 by admin.